A combination of outcome measures are required to provide important information on the physiological profile and associated impact of dysphagia in head and neck cancer (HNC). Choosing the most appropriate tool can be a difficult and time-consuming process. The aim of this study was to identify and then compare the content of tools commonly used to assess swallowing post HNC care using the International Classification of Functioning Disability and Health (ICF) as a reference. A literature audit of 11 databases was conducted for relevant articles published between January 2004 and June 2017 and total of 502 papers met the inclusionary criteria. These papers were audited and 27 tools were identified which met the study criteria. The meaningful concepts contained in each tool were mapped to the ICF. Within the 27 tools, 898 meaningful concepts were identified and matched to 60 ICF categories. The most frequently matched ICF categories related to body functions, while comparatively few concepts matched to activity and participation and environmental factors. This study has identified that a large number of tools are currently being used in HNC research to measure swallowing outcomes. The sheer number of tools available to explore dysphagia post HNC highlights the lack of a uniform approach to outcome measurement which limits the potential to compare and combine research studies in order to strengthen treatment evidence. 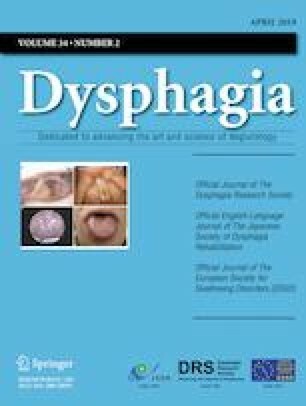 There is a need to develop an international consensus for a core outcome set of swallowing related measures, that capture the holistic impact of dysphagia, for HNC. The online version of this article ( https://doi.org/10.1007/s00455-019-10005-0) contains supplementary material, which is available to authorized users. Cancer Council Australia. Optimal care pathway for people with head and neck cancers. https://www.cancer.orgu.au/ocp. Accessed 9 Dec 2018. National Institute for Health and Care Excellence (2018) Cancer of the upper aerodigestive tract: assessment and management in people aged 16 and over. NICE GUIDELINE 36. https://www.nice.org.uk/guidance/ng36. Accessed 9 Dec 2018.